Scarlet Oil on panel, 8"x6," $255. 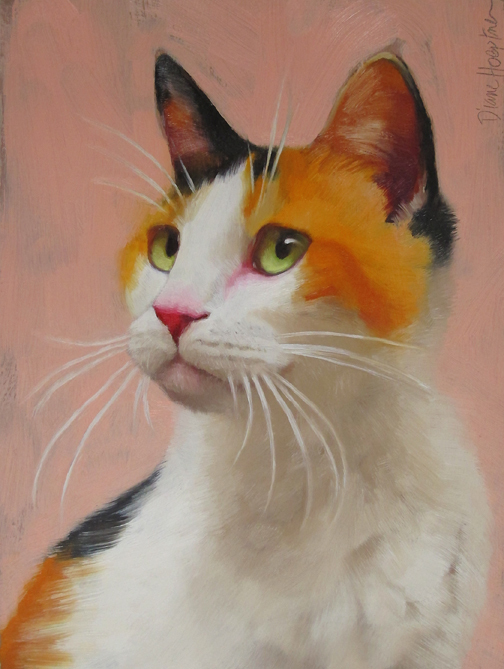 I glanced over Scarlet's reference photos a dozen times before I painted her. I'm glad I finally did, maybe do a few more at some point. 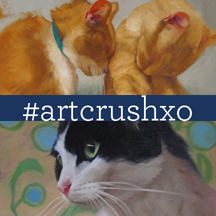 Artist, blogger extraordinaire Kim Smith interviewed me for her #artcrushxo column. Have a look at that here. Next week is Cat Art Show 3: The Sequel Returns Again... Very psyched to be attending this year (my third time participating.) I so look forward to meeting fellow artists and online buddys! Pictures and details to follow in a couple weeks! Stunning! Can not wait to meet you!